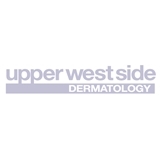 Upper West Side Dermatology (New York) - Book Appointment Online! As doctors and staff at Upper West Side Dermatology, we share a common mission: treat every patient with respect and compassion while delivering the best possible care. That means making you to feel comfortable and cared for every time you walk into our office. It’s listening to your concerns and collaborating with you to come up with the least invasive, most effective course of treatment. It’s also striving for long-term relationships, not one time visits. Had a great experience here as a first time patient. The appointment was great: very thorough and helpful in managing my skin issues I’ve been having for several years. The office was very clean, the staff was professional/friendly and I did not have to wait to be seen. Highly recommend. Dr. Travis is very thorough and genuinely cares about her patients. A tough combo to beat! She’s fabulous. She knows her stuff and more stuff. Dr a Donnelly removed a scar on my lower lip and it looks great! Dr. Cossman was very welcoming! I had many questions and he not only provided me with answers, but clarified anything I didn't fully understand in simple terms. He's efficient and humorous, which made for a very pleasant experience. The medical assistants and receptionists were also very friendly!